The 41st Annual World Open was held on June 29th – July 7th, 2013, at the Hyatt Regency Crystal City, 2799 Jefferson Davis Highway, Arlington, Virginia. A 10-way tie for first place in the Open Section led to an Armageddon play-off game between the two players with the best tie-break scores. This game was contested by GM Quesada Yuniesky, with white, against GM Varuzhan Akobian. Yuniesky had 5 minutes to Akobian’s 3 minutes and draw odds. 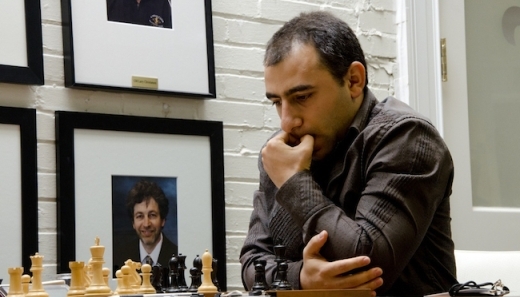 The play-off game finished in a draw and GM Varuzhan Akobian became the 2013 World Open Champion. Each of the players joined on the top earned around 3900 USD. This year’s World Open has attracted around 1200 players. The Open Section had 114 participants, among them 30 Grandmasters. Last year winner was GM Ivan Sokolov.